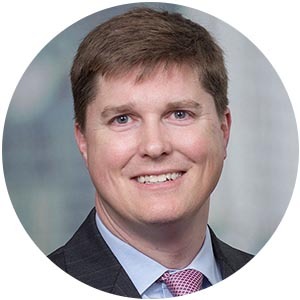 Michael McDonough, global head of corporate trade and supply chain finance at JP Morgan Chase, sees the supplier finance market evolving to embrace more diverse industry sectors, and banks expanding the range of funding to clients. 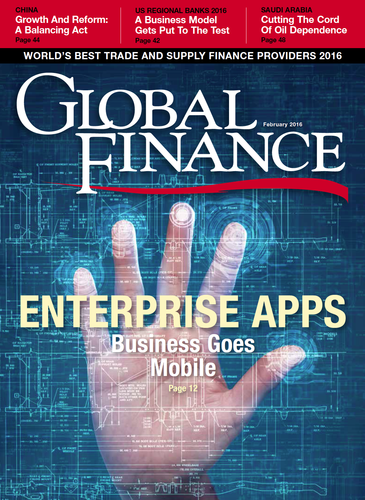 Global Finance: What industries besides manufacturing and retail offer scope for supply-chain-financing potential? Why? Michael McDonough: We expect that we will start to see increased activity in the oil and gas and natural resources sectors. Clients are focusing on working-capital generation strategies, given lower commodity prices, and SCF strategies can play a part in those overall working capital plans. Additionally, we are starting to see interest from some of the larger non-hardware technology companies. As these clients grow and mature, they are generating significant scale in some of their key sourcing activities and are looking at solutions to help support their supplier base. In general, very few industries would be excluded from supply chain financing potential, as there is relevance across any corporate that sources goods or services. GF: What do you think will be the next wave of supply chain innovation? McDonough: The SCF market will continue to evolve in terms of finding additional funding capacity. That will take many shapes, such as club deals where multiple funding banks support a program from the outset, or using mandated lead arrangers (MLA) to provide funding capacity in hard-to-reach markets. We believe that innovation is occurring on the SCF provider side and also on the funding side. The introduction of the institutional funding market into the SCF segment has been and will continue to be a key theme. We expect this trend to continue in 2016 and beyond, although it remains to be seen whether the institutional appetite for SCF will continue to grow if we see yields on other assets increase. On the arranging side, we are seeing more combinations of working capital strategies come together to create a holistic approach to a client’s sourcing. In some cases, dynamic discounting and SCF are put in place in parallel, covering different segments of sourcing, or managing cyclicality in a client’s cash balances and ability to self-fund. Banks and third-party providers will seek to offer as wide a solution as possible to cover client’s needs. GF: What can banks do to help smaller suppliers access the benefits of supply chain finance? McDonough: Ultimately, SCF is about the ability to execute—to onboard buyers, to educate suppliers and to onboard them onto a SCF platform. As the SCF market becomes more competitive, banks have focused more on their execution capability, including “blocking and tackling” activity like streamlining documentation, including improving SCF education collateral and providing more on-the-ground support. This will allow providers to push further into clients’ supply chains and reach a larger segment of the supplier base.